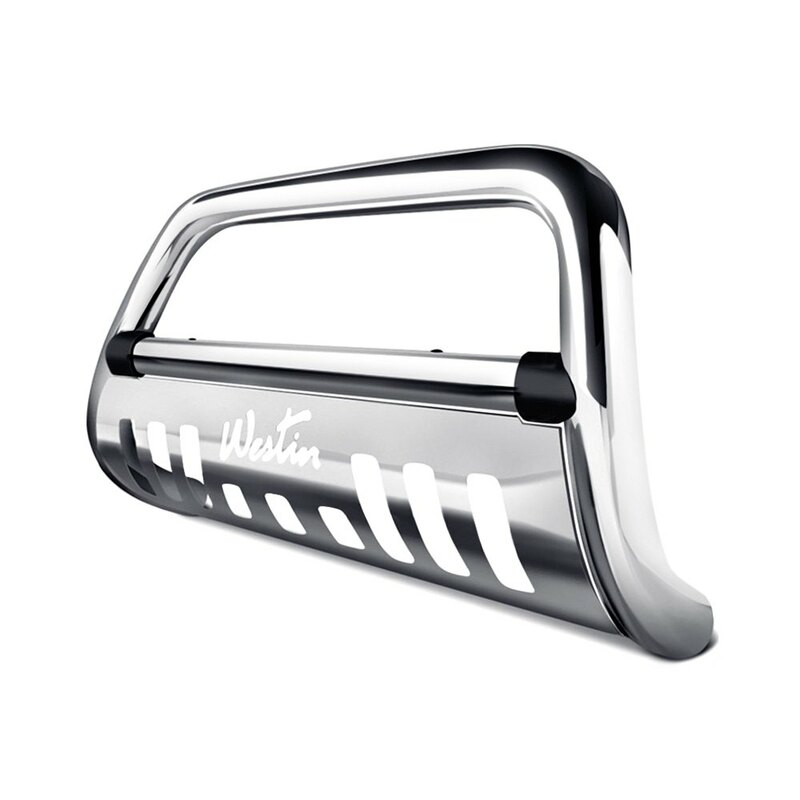 3″ Ultimate Chrome Bull Bar with Removable Brushed Skid Plate (32-3630) by Westin®. Material: Stainless Steel. The secret of living a peaceful life in the asphalt jungle is to add a scary edge to your looks. The Ultimate Bull Bar is perfect for the purpose. Made in chrome plated stainless steel for shine and durability.